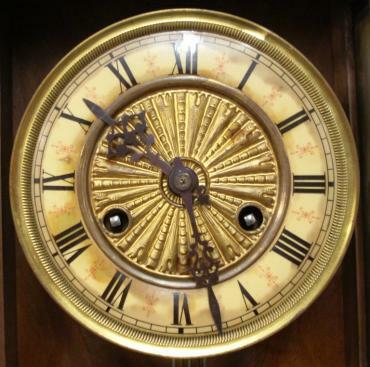 Stock Number: REWC002 - Vienna Regulator style Wall Clock by Kienzle - £125. 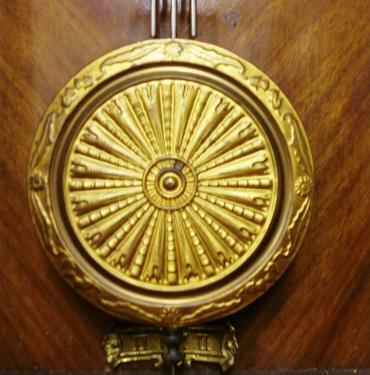 Clock for sale for restoration:- Vienna Regulator style walnut and pine cased gong striking wall clock by Kienzle. Flat top pediment full length door with fluted and turned side columns, original glass over ivory coloured dial with black roman hours and ornate blued steel hands. 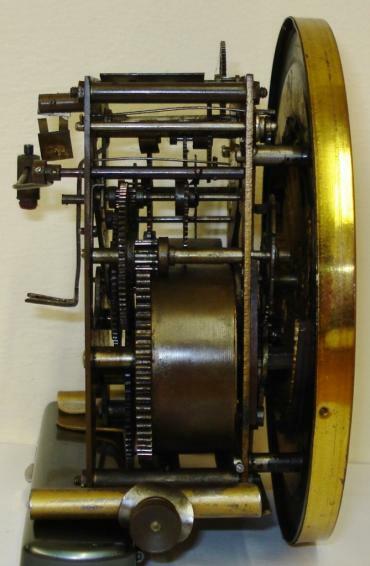 Standard brass spring driven pendulum regulated 8 day movement circa 1890 with faux gridiron and sunburst pendulum boss. 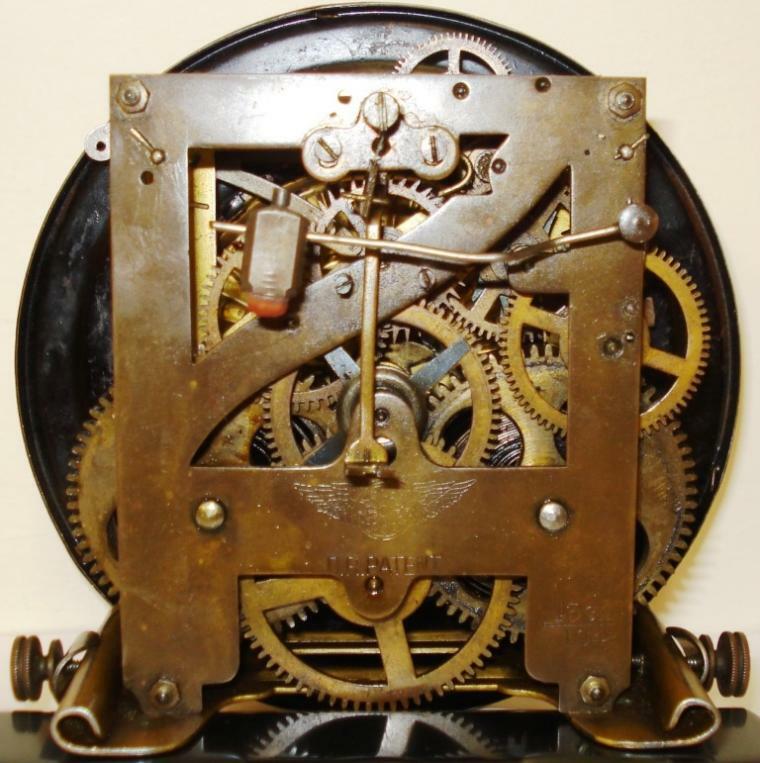 Back plate has the Kienzle touch mark and is stamped D.R.Patent. 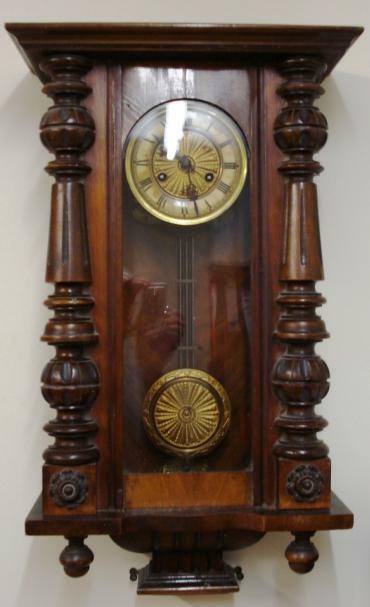 Lacks original crest and finials and has discolouration to dial and pendulum suspension spring is broken. 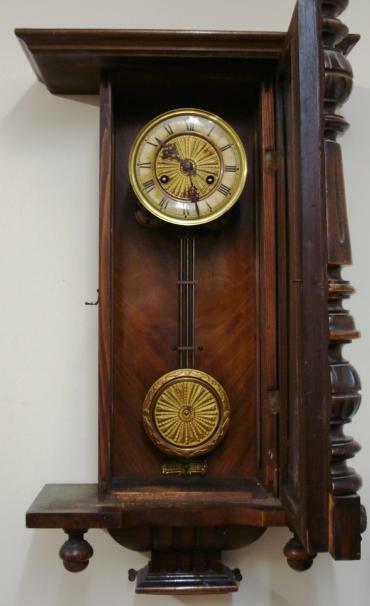 This clock is in an unrestored state and is available for purchase 'as seen' as a DIY refurbishment project. 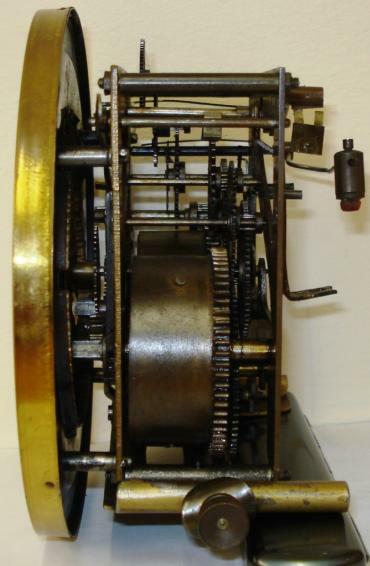 Dimensions: Height - 26", width - 14.5", depth - 7".